TouchRetouch has been known in the community of avid photographers for a while, mainly due to its ability to remove unwanted items from photographs in a click. And now all Setapp users have the opportunity to use it as well, at no extra cost! The secret to the TouchRetouch success lies in its proprietary content-removal algorithm that works just as well on plain or complex (bokeh or gradient) backgrounds. TouchRetouch is an invaluable, unobstructive tool that can live as an extension to Photos and supports RAW, JPEG, TIFF, PNG, and other popular formats. 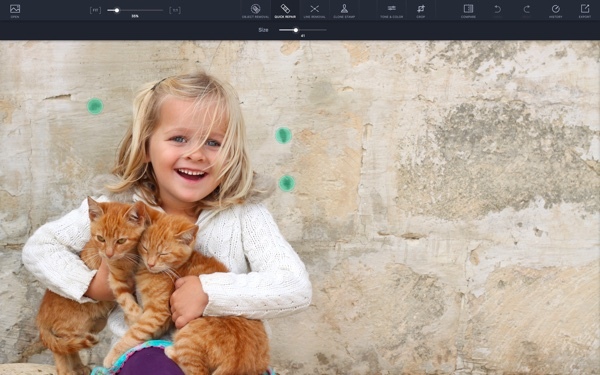 Try TouchRetouch on Setapp today and see how your photos reveal a whole other side to you.